Bookkeeping should be a regular part of your business activities. Getting started can be challenging, especially if you have little to no prior experience with accounting. An expert can help you come up with a system that works for your operation while providing guidance, tips, and other services along the way. Business bookkeeping refers to an organisation’s accounting system. This is the resource you use to record and track finances, taxes, and transactions. There is a common misconception that only big enterprises need to worry about bookkeeping. This is far from the truth. Every professional should have a system in place, including self-employed individuals and small businesses. If you anticipate growth or plan to hire staff, then you may also need a controller to assist with the task. There are usually three jobs involved in the process: bookkeeper, accountant, and controller. Bookkeepers – The bookkeeper’s job is to record and classify financial transactions. Accountants – The accountant’s job is to take the bookkeeper’s records and review, analyse, and interpret them for the business. Controllers – The controller is the chief accounting officer who is responsible for setting up the system and responding to financial data. Manual bookkeeping utilises paper ledgers to record transactions. Companies maintain separate ledgers for different areas, like sales, accounts payable, and accounts receivable. An accountant will consolidate and balance the ledgers. 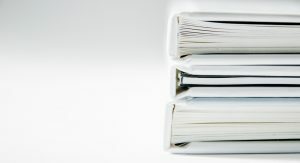 Electronic bookkeeping uses computers to record and compile data. Algorithms are used to make calculations. Many businesses are updating to electronic systems because they are more efficient and can compile data to show trends. They also make all company data easier to access and usually leave less room for error. Single entry bookkeeping is much like how you record transactions in your personal check register. There’s one entry for each item. This method is usually preferred for small businesses with low transaction volume. Double entry bookkeeping means two entries are made per transaction: debits and credits. For example, if a company spends $100 on advertising, then its cash account will decrease by $100, and its advertising expense will increase by $100. This is usually preferred by larger businesses or those that handle a high volume of transactions. Cash accounting is often favoured by small businesses and single-person operations. This method means that you record transactions when cash changes hands (physically or electronically). Accrual bookkeeping is used when offering customers credit or when using credit from suppliers. Transactions are recorded even though money isn’t exchanged until later. Many businesses start with cash then switch to accrual as they grow. The best way to setup and maintain a bookkeeping system is with the help of an accountant. Oculus Group is available to answer questions and help you decide which system is best for your business. Call 07 5536 3755 or fill out our online enquiry form to get started.